My final stop on the Bottelary wine route was Beyerskloof, a modern style operation, part owned by Beyers Truter, the Pinotage king. Truter founded this winery in 1988 in partnership with four wine lovers in Johannesburg: now it’s owned by him and Simon Halliday of Raisin Social (the UK agents). 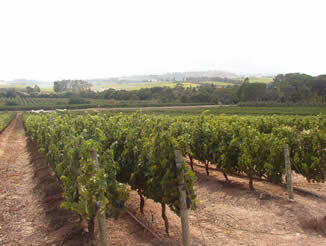 It deviates from the traditional Cape Estate model in that while Beyerskloof grows some of its own grapes for the premium wines, they also source grapes from elsewhere from their mass market Pinotage. This more commercial wine a good introduction to Pinotage selling at the key £4.99/£5.99 price point and made in large quantities. 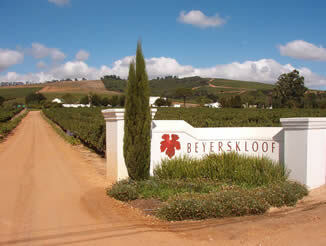 Beyerskloof buys grapes mostly from Bottelary region farms, and has 8 or 9 primary growers. All the grapes come from Stellenbosch.